The Theodore Wright Jr. House. 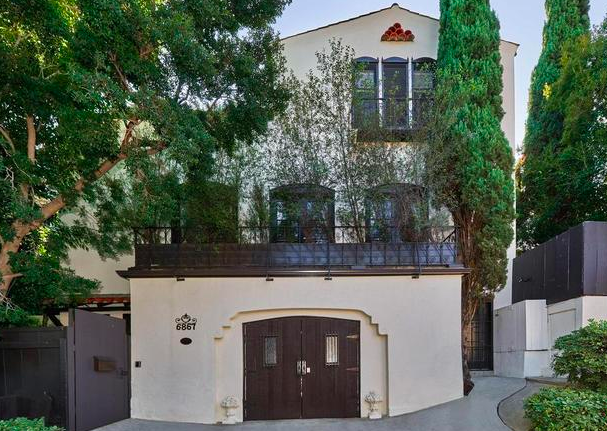 This spectacular 1923 Spanish Colonial is perfectly nestled in the hills of Whitley Heights. Both a private sanctuary and a true entertainer’s paradise, this exquisite 3BR/3BA offers luxury, relaxation, and romance. Formal entry w/ gorgeous hardwood floors and designer wallpaper welcomes you to a dramatic step-down living room w/ soaring ceilings, French doors, built-in bookcases and a wood-burning fireplace. Kitchen features Waterworks fixtures and Wolf/Miele appliances and opens to a sun-filled breakfast nook. Upper level has two bedrooms including master w/ custom built-ins, beautifully tiled bathroom w/ clawfoot tub, and frameless glass shower. Two additional bedrooms are perfect for a child’s room, guest room, or office. French doors open to an expansive deck with views. Professionally landscaped yard w/ multiple entertaining areas including fire pit. Minutes from hiking in Beachwood Canyon or the nightlife in Franklin Village!